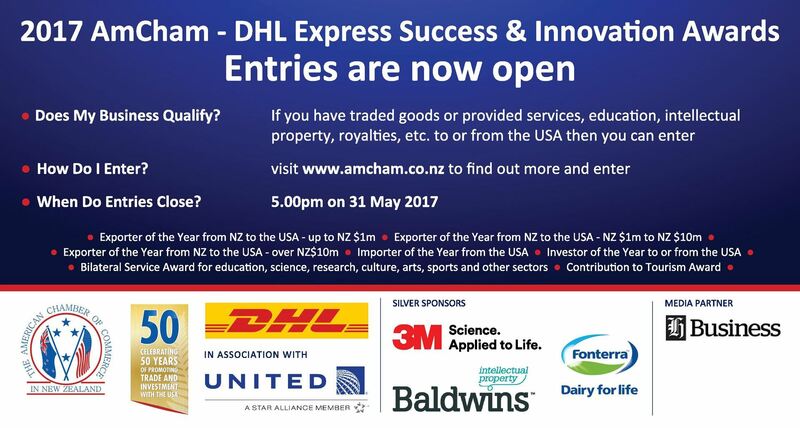 The American Chamber of Commerce is delighted to announce the launch of the 2017 AmCham – DHL Express Success & Innovation Awards, held in conjunction with United Airlines. 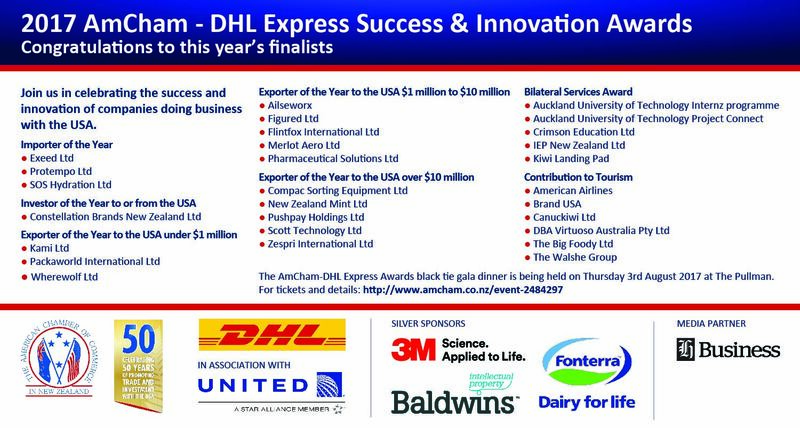 The Awards celebrate business achievement between New Zealand and the United States. The annual Success & Innovation Awards provide an opportunity to showcase those companies that have demonstrated imagination, innovation and entrepreneurship, as well as honour and celebrate their achievements. A Supreme Award winner is selected from winners of each of these Awards. AmCham also makes an award to the Member/Supporter of the Year. The winners of the importer, exporter and bilateral services awards receive a return Economy Plus airfare to anywhere in the USA from United Airlines. Award winners will be announced at a gala dinner at the Pullman Hotel Auckland on 3rd August.